HVM Group can do it!. Houston Vessel Manufacturing Group. 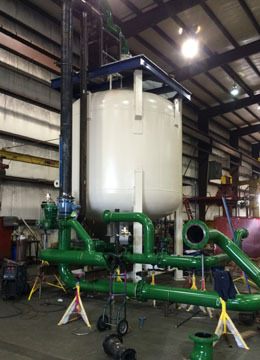 "If you pressure vessel required installation of process internal and external piping, Houston Vessel Manufacturing can do it, we can work using our customer supplied or our own engineered drawings. Send us your requirements and we will be happy to serve you!." HVM have a Great team! of professionals to work on your next project. 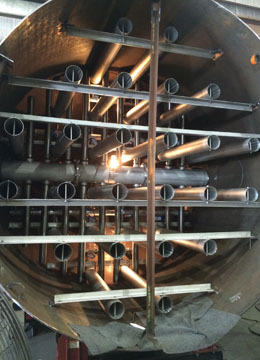 HVM can package skkidded systems that include piping, valves, instrumentation, wiring, control panels, and testing. For more information and details contact us! send us your specification and visit us at www.houstonvessel.com or call us at 713-937-5200, 16250 Tomball Parkway, Houston Texas 77086.